Hekmek | way above the level. Hekmek, unser liebster Pixelschubser und DER Go-to-Guy in Sachen Grafik- und Flyerdesign hatte anscheinend ein bisschen Langeweile und womöglich auch ein klein bisschen Hunger als er auf die Idee kam seine eigene Jerkmarinade zu produzieren. Inklusive Verpackung und wunderschönem Labeldesign. Die Marinade enthält unter anderem Zwiebeln, Thymian, Pfeffer,Scotch Bonnett Schoten, braunen Zucker, Muskatnuß, Soyasoße und Knoblauch und es gibt sie in einer limitierten Auflage über seine Homepage zu beziehen. Super Sache, wir sind down! 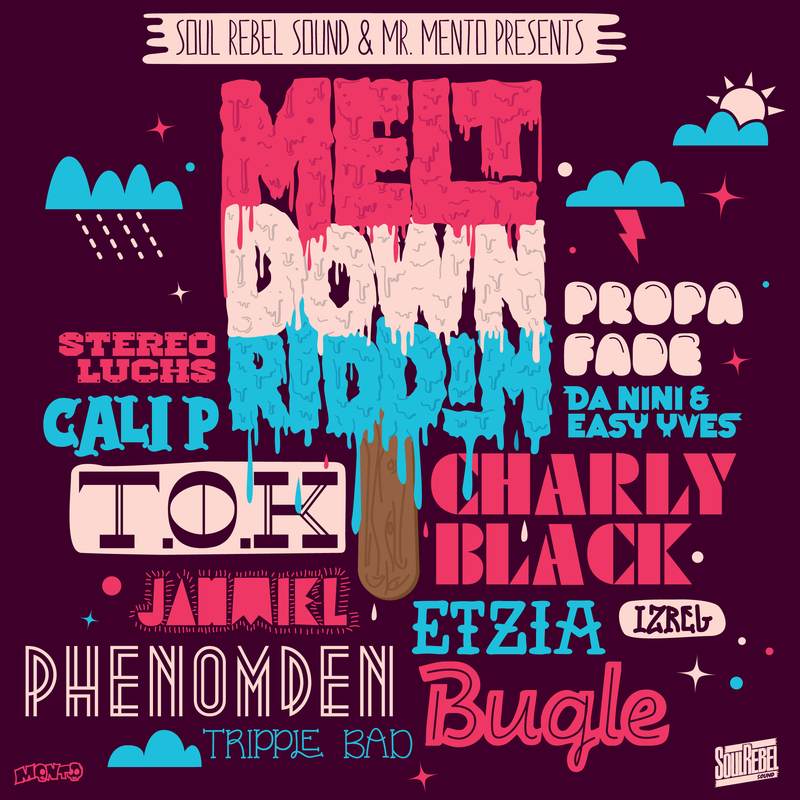 Soulrebel Sound from Switzerland had just released their first Riddim called Meltdown as a digital download. The Riddim is available via all digital webstores or via Itunes and features artists from Switzerland over Sweden to Jamaica. You can preview the Riddim on Soundcloud or on Youtube. *Artwork by your goodlooks-go-to-guy Hekmek. This March Edition of Saarbrückens hottest Dancehall and Reggae Party Jamaican Lounge will be something special again. 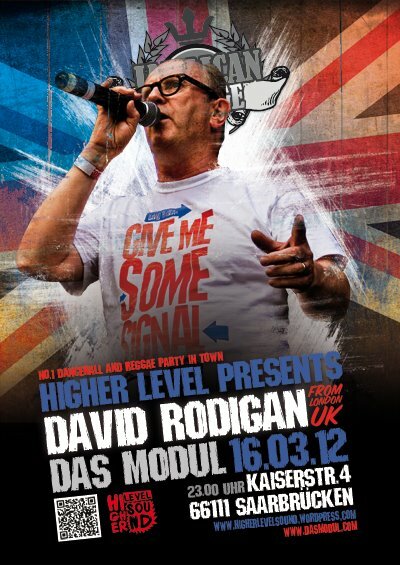 Even tough it’s not the first time David Rodigan juggles in Saarbrücken together with Higher Level Sound, i’m pretty damn sure it’s gonna be an incredible dance again. Make sure to come early, this one’s definitly gonna be a little cozy from start. Btw: Big up Hekmek on the awesome flyer! 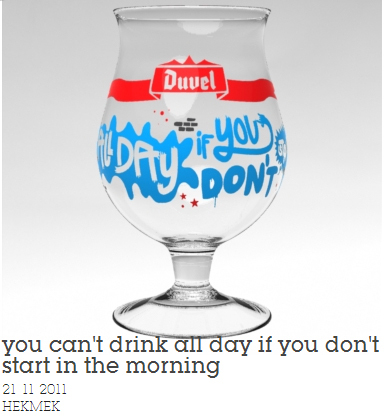 Our graphic-pusher Hekmek entered the Duvel Studio Competition with a wicked glass design. Even if I don’t like the beer, I really dig the design. We would appreciate it if you guys take a second of your time and vote for Hekmek (just one click). 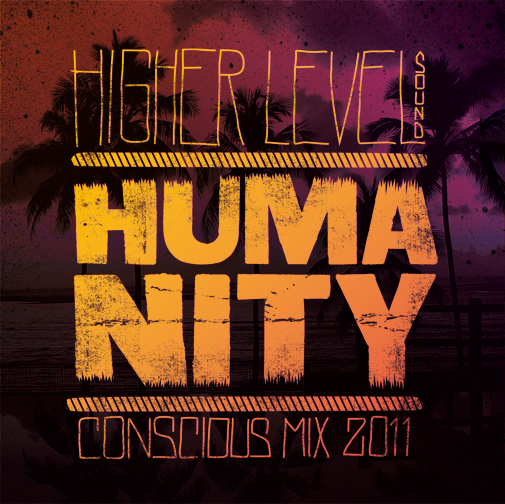 Finally, here is our brandnew conscious mix for 2011 called „Humanity“ for all you folks to download for free! Brandnew in the meaning of just done with it. Couple of tunes on it are a few weeks/month old tough, but since they are really big tunes, we love them and they will last definitly longer than the average they made it to the mix. 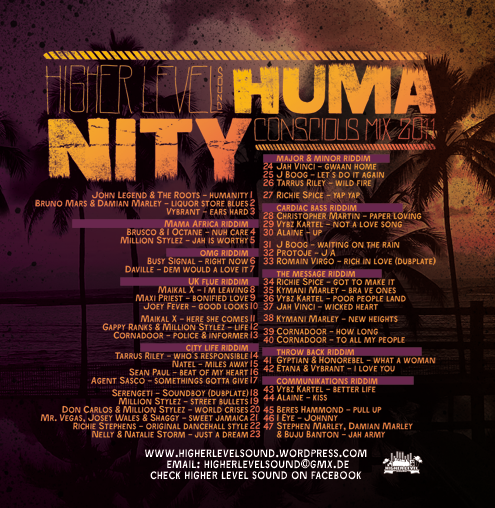 So, download the mix, get yourself in a comfortable position (best you can chill outside and enjoy the sun), grab some chilled beverages, light a spliff or two and spend the next 70 minutes listening to Humanity! Cover artwork as usual from the mother of all artworkers, Hekmek, the Creator. 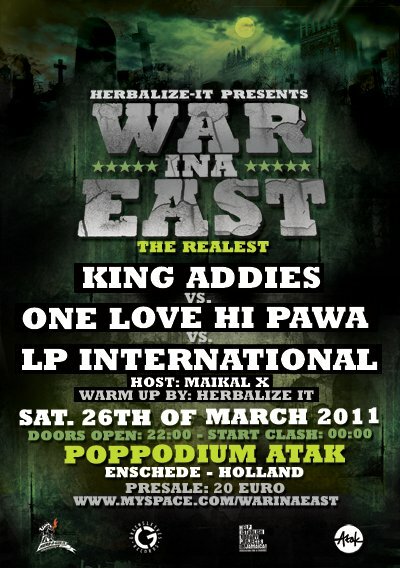 Sultan, on behalf of the Promoter Herbalize-It Sound, just upped the flyer, done by Hekmek, for upcoming War ina East 2011. The HELP Jamaica Charity Calendar for 2011 is finally available trough their Online-Shop. Go get you the perfect christmas gift!